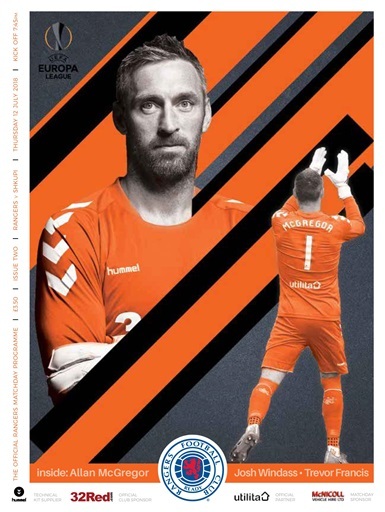 The Gers are back in European action and what better way to get excited for the match than by downloading the official Rangers matchday programme? Inside our new look programme for the 2018/19 season, you can read Steven Gerrard's pre-match notes and James Tavernier's captain's column. Plus all new features (and a few regulars) including: The Advocaat Era: 20 Years On, Classic Kits, David Mason, On The Spot with Josh Windass and Where Are They Now? With Trevor Francis.